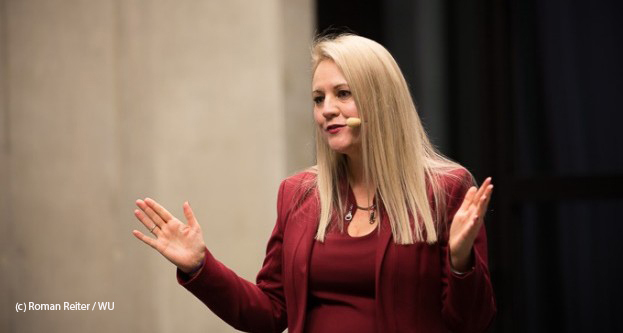 On 2nd December 2015, Prof. Martina Humann presented her book „Human Resource Management in the Project-oriented Organization – Towards a Viable System for Project Personnel“ at the WU, in the Foyer of WU Executive Academy. Dagmar Zuchi (enable2change) facilitated this event with some 60 participants. At the podium, Martina Huemann gave some highlight of her study. She explained the specifics of project-oriented organizations and their consequences to Human Resource Management. Her book offers insight into an approach that is designed to align Human Resource to the need of the project organization, in terms of management structure, reward, recruitment and performance systems. The special guests of this evening, Brigitte Schaden (president of pma), Wolfgang Elsik (Professor and Head of Institute Personnel Management at WU), Rodney Turner (Professor of Project Management at Kingston Business School, London, and at SKEMA Business School, Lille (F), and Scientific Director of SKEMA) and Maria Nazarova (Learning and Development Director at the Raiffeisen Bank International AG) spoke about the relevance of this book from their specific perspectives. Via Video-link, Erwin Weitlaner, Principal Consultant of Siemens AG, Erlangen (D), recommended the book for Project Management Office Managers or project excellence leaders, as well as for Human Resource Managers who are „interested in rethinking the status quo and are striving for continuous improvement“. 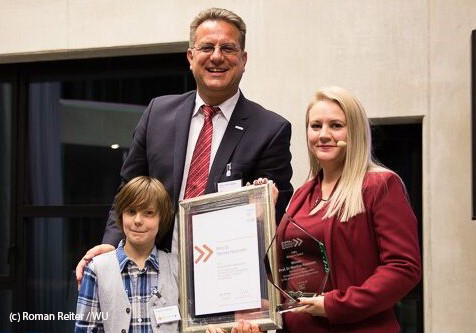 Reinhard Wagner, current president of the International Project Management Association, awarded the IPMA Research Award 2015 to Martina Huemann for her research in Human Resource Management in the project-oriented organization. The enable2change team congratulates Martina for this great book!